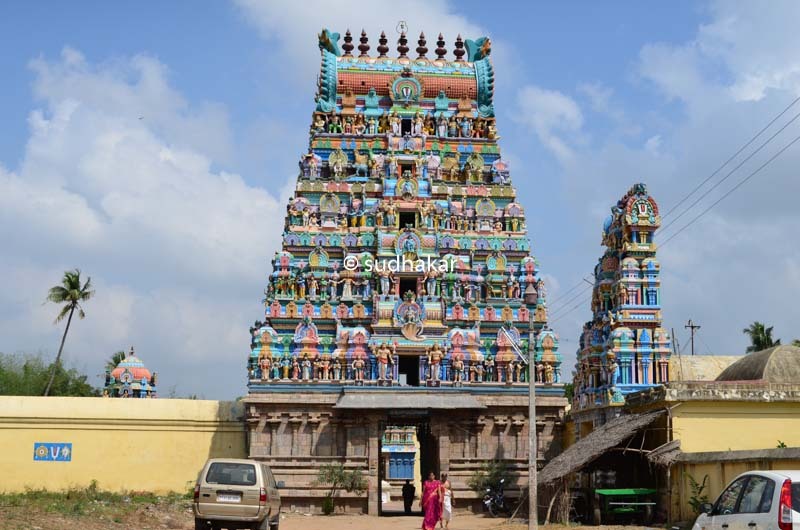 Sirupuliyur (Thirusirupuliyur) is one of the 108 divya desams in Tiruvarur district near Mayavaram. The legend behind the temple is that Gauthama Maharishi was a great devotee of Lord Shiva. To offer good sweet fruits and fine flowers he requested Lord Shiva to grant him eyes in his finger tips and claws like a tiger. And he got the name Viyakirapadha rishi. Lord Shiva ordered Viyakirapadha rishi to do penance at Sirupuliyur and Shiva desired that Lord Maha vishnu give Viyakirapadha a place in Sri Vaikundam. To signify this , his idol is placed nder the feet of the perumal in the Moolavar Sannathi. Another legend says that two old rishis, Yagapalar and Kanvar, prayed to Lord Shiva at Chidambaram asking for Moksham. Shiva asked them to go towards west to Srirangam, saying Vishnu was the one to grant Moksham. Because of their poor eye sight the Rishis lost their way and went southward, and reached KripaSamudiram. Here, they prayed to Lord Vishnu saying that instead of visiting Srirangam to ask for his blessings but have lost their way and reached this place and that He grant them Moksham.It is believed that that the Lord originally gave darshan to the Rishis as Lord Ranganatha (like in Srirangam) in his full form. Because of their old age, the rishis could not clearly see the big image of the Lord and hence the Lord gave darshan in a smaller form known as ‘Bala Sayanam’. The Lord KripaSamudran can be seen as a small boy in sleeping posture. Being the Lord in small form, this place is called Siru(small) Puliyur. 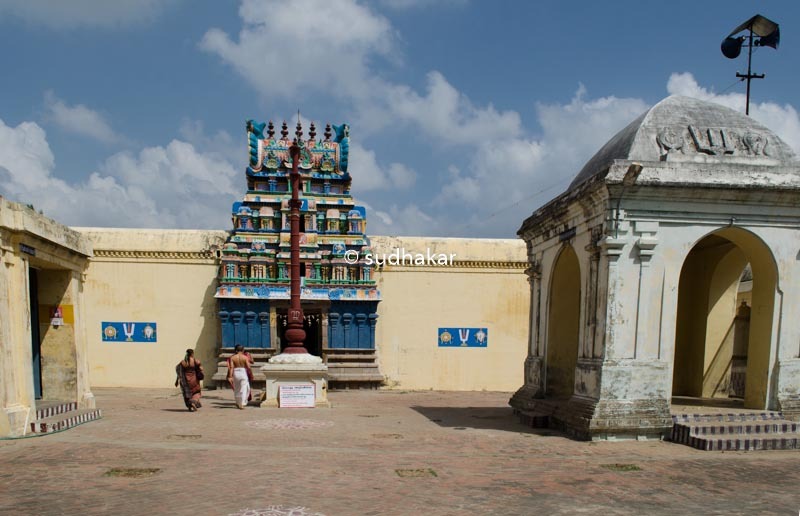 It has been said that the perumal of this place gave protection to Aadhiseshan from his enemy Garuda. The legend goes like this: Once Garuda() and Adiseshan) got into a tiff as to who was more powerful and devoted to the Lord. Seeing Garuda a little arrogant, Lord Vishnu went in favour of the Serpant Adiseshan. Worried that Garuda might be angered at this, Adiseshan sought Lord’s protection, upon which Lord asked him to lie under him. It is said that as a result of this anger, Garuda , even today, never flies over this place. The Moolavar of this sthalam is Sri Arulmaakadal or Krupa samudra perumal also known as Salasayanaperumal. Moolavar is in kidantha (sleeping) thirukkolam and in Bhujanga sayanam facing the South. Where to Eat?There are no big restaurants here. You can reach Mayavaram town for lunch / dinner.